A key milestone, a blessing for Central Africa. Expanded opportunities will allow more young people to serve. Latter-day Saint missionaries moved to safety. Includes updates from Brazil, Australia, Paraguay, Kenya, Singapore and Honduras. VIDEO: How and When were the First Sister Missionaries Called? Church program provides materials, tools and training in typhoon recovery. FamilySearch adds new military records to assist in genealogy work. Online programming seeks to bring people to Christ. President Uchtdorf addresses symposium on the importance of history. A sort of Christmas Card from our beloved First Presidency. Typhoon survivors continue their missions in the Phillipines. Washington Post Blog: What Motivates Mormon Missionary Momentum? You can have Haydn and Rachmaninoff in one evening. The Church is meticulous in its restoration of historic sites. Hastening the work is an invitation to all members. VIDEO: A Day in the Life of 4 Missionaries in U.K.
See the April 2011 LDS World Report in video clips. The First Presidency has issued a statistical report as of 31 Dec, 2010. Distribution products will now become available at Deseret Book. 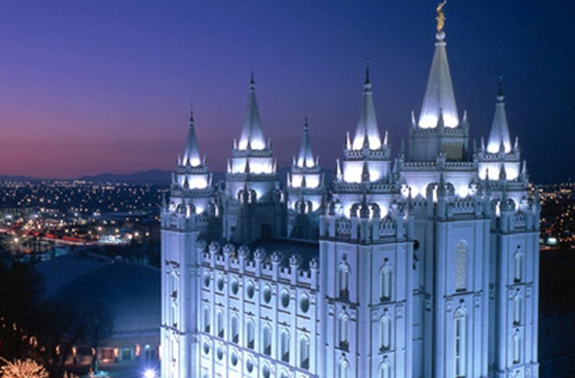 Local leaders report 75 deaths among the Latter-day Saints.